"Particular attention was paid to a full cease-fire." 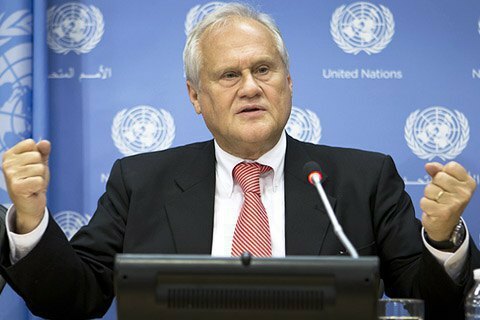 The trilateral contact group agreed a pullout of troops in Donbas at its meeting on 15 February, the Belta news agency has quoted OSCE special representative Martin Sajdik as saying. "Particular attention was paid today to the observance of a full ceasefire, pullout of troops and forces, protection of civilians and vital infrastructure, in particular by creating the so-called safety zones around them. An agreement was reached that all arms banned by the Minsk agreements should be pulled out by 20 February," he said in Minsk. In his words, the call for a full and comprehensible ceasefire, which was made at the previous meeting of the trilateral contact group, resulted in a de-escalation in the conflict zone.